Weird NJ has explored and reported on many an odd Road Less Traveled throughout the state, but the phenomenon happening on Talamini Road in Bridgewater seems to be a uniquely weird one. It does bares certain similar characteristics to legends we’ve heard before of other such roads of mystery: A car wreck, a death, and a warning for those who dare to cross the ghostly point of impact, etc. We find these recurring themes at Gravity Roads throughout NJ, where a young girl was supposedly killed in an automobile accident. Her ghost is said to appear, warning you to slow down to avoid a fate similar to her own. Riverview Drive in Totowa, known locally as “Annie’s Road,” can be classified as another such site, with a ghost who’s intent it is to warn people of the dangerous curves on the road where she met her untimely end. There is also Atco’s ghost boy on Burnt Mill Road, and the dreaded Indian Curse Road of Deptford, just to name a few. None of these roads, however, have the distinction of possessing an audible sound that might warn the unsuspecting motorist of impending doom. 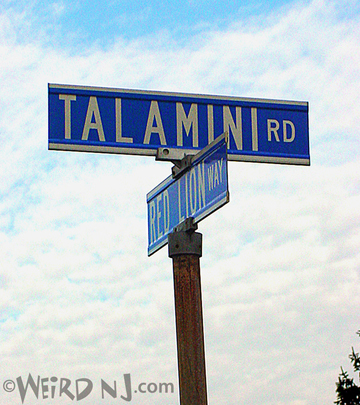 Talamini Road, on the other hand, does. 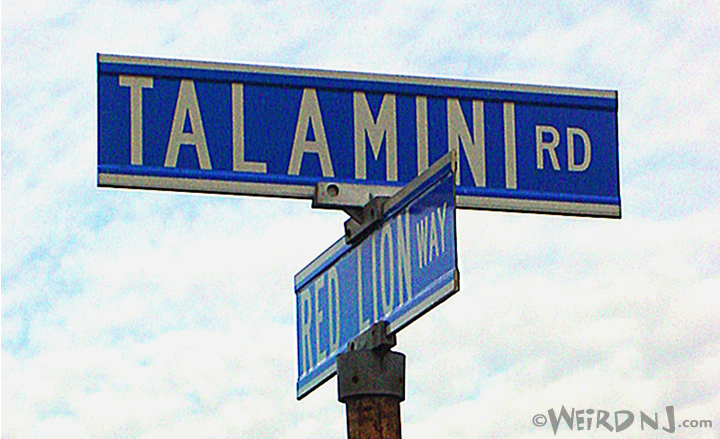 The legend states that as you pass the curve on Talamini Road, a moaning sound can be heard only from the driver’s side of the car, only while traveling in one direction, and only at a certain speed. From the locals that we’ve spoken to, the story circulating is that one night a driver, either in a car or truck, tried to take the curve at 50 mph. Some people said there was a young pedestrian also killed crossing the street as a result of this reckless act. Some of the letters we’ve received state that the moaning is actually the voice of the driver telling you to “Slow Down.” Others say it is the sound of the truck’s horn warning you to beware of the curve ahead. The sound is supposed to be droning, sort of monotone. We decided to challenge this aural apparition and followed the directions as described to us: You must be heading west on the road, you must be traveling 35 miles an hour, and just beyond the “Slow Children” sign, the moan will be heard on the driver’s side of your vehicle only. After attempting the prescribed procedure several times, we determined that the “moaning” sound can indeed be heard. We describe it more as the faint horn sound of a far off tractor trailer truck, rather than a moan, but none-the-less, the sound is clearly audible. 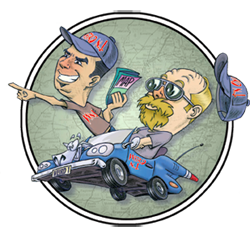 When traversing the road at any speed other than 35 mph, the phenomenon does not occur. After searching through records concerning fatal accidents along the 2-mile stretch, we came up with no incidents ever being reported on the semi-residential street. The property to the south of Talamini is a golf course. We looked for a possible pump house or another structure that might cause the sound, but found no evidence of machinery at work. Checking the pavement for ripples or bumps of any kind proved fruitless. The sound is truly a mystery. Of course, anyone wanting to try this phenomenon should bear in mind that the actual speed limit on the road is 25 mph, and not 35 mph, so testing the legend would require breaking the law. 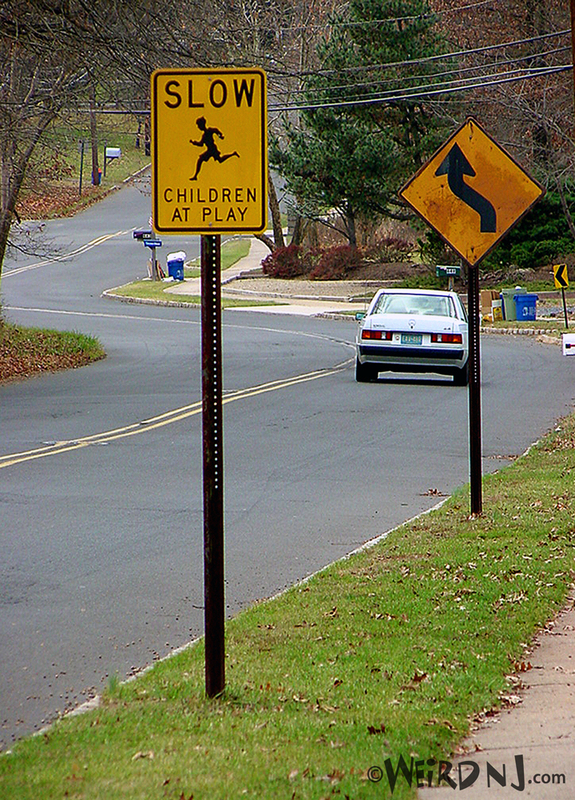 Also, speeding on any road with “Slow Children” signs may result in tickets for other moving violations. 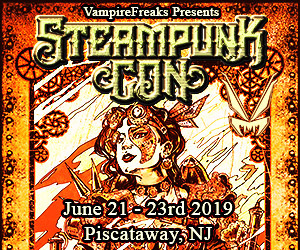 Sometimes we here at Weird NJ are forced to break the law in the name of investigative research though, so that you won’t have to. 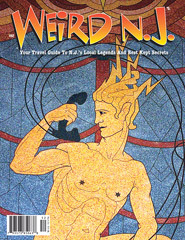 You can read New Jersey’s unexplained phenomena and Roads Less Traveled in Weird NJ magazine, “Your Travel Guide to New Jersey’s Local Legends and Best Kept Secrets,” which can be found on newsstands throughout the state and on online at www.WeirdNJ.com. This entry was posted in Roads Less Traveled, Stories, Unexplained Phenomena and tagged audible, bridgewater, car accident, Ghost, moan, nightride, road, somerset county, Unexplained Phenomena. Bookmark the permalink.